on the day of the fall and has been preserved at the University of Alberta for the last 50 years. LOCATION OF FIND: Over an area of several square kilometers just north of Bruderheim, Alberta. DATE: Fell - March 4, 1960, 1:06 am. DESCRIPTION: 303 kg of stones, ranging in size from 31 kg to 5 mg. CLASSIFICATION: Stone - L6 - Olivine hypersthene chondrite. 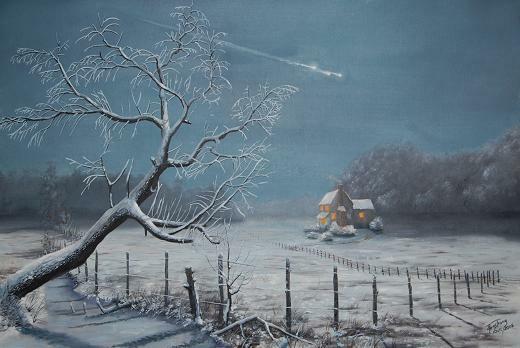 CIRCUMSTANCES: A brilliant fireball was observed by many people in the area, while the accompanying explosion was heard almost 100 km in all directions. The stones appeared to have fallen vertically, bounced off the frozen ground under the snow, and come to rest back up on the surface of the snow. Nearly 700 fragments were reported found. CURRENT HOUSING: Specimens are widely distributed. 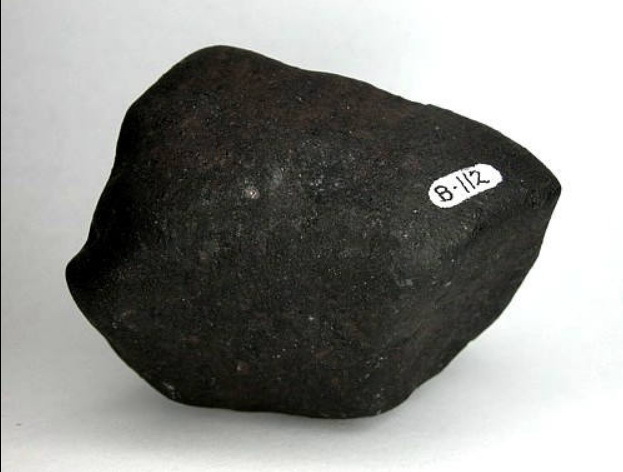 The largest single stone (30.7 kg) is in the Canadian Meteorite Collection, but the largest total mass is at the University of Alberta in Edmonton.